Sweat it out. Soak it in. W Hotels Worldwide announced the next iteration of the brand’s unique take on fitness and wellness, FUEL weekends by W Hotels. By enlisting high-energy fitness experts to act as weekend workout guides – including Jason Wimberly, Joe Holder, Ashley Guarrasi, and Tara Stiles – W Hotels is launching next level, energy-soaked workout getaways in some of the most vibrant and inspiring destinations in the world. Kick box, then kick it up a notch. Work up a sweat, then party down. This is how W feeds guests’ passion for staying in shape, in style. 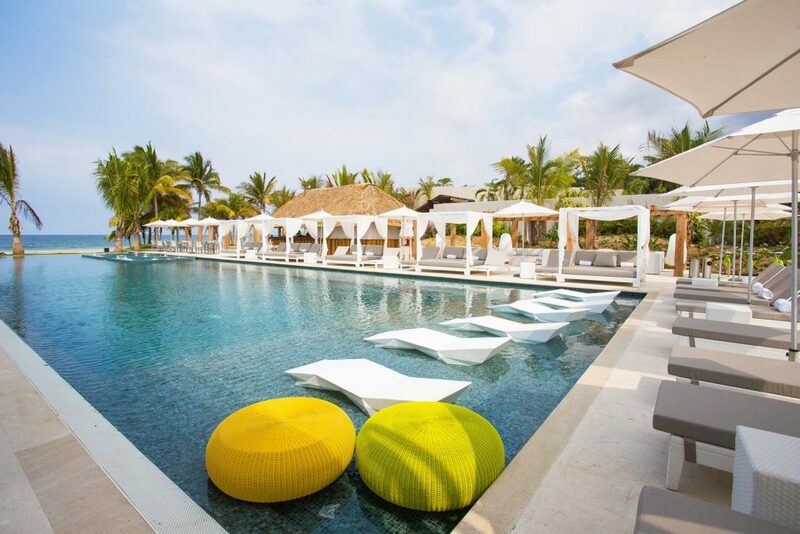 W is kicking off the 2018 FUEL lineup at W Punta de Mita, May 25 – May 28, 2018 for a three-day, three-night non-stop schedule where every moment has guests looking good and feeling better. W has been championing a “work hard play hard” mantra for years, under a unique spin on health and wellness the brand calls FUEL. These weekends will continue to expand the brand’s innovative philosophy with fitness fans around the world, providing guests with everything they need to look good, feel good, go longer, and stay later. Then it’s time to retox – a chance for guests to play as hard as they work out. This FUEL weekend will include welcome cocktails and healthy light bites upon arrival. Treat yourself to a two- hour open bar, beats from world-class DJs like May Kwok, Alan Salomon and va$htie, a day time pool party and more. For guests looking for even more action, add-ons during the first FUEL weekend include mezcal tastings, ziplining, ATV adventures, on-site spa treatments, beachside activities inspired by the local culture and even surf lessons set on the sparkling coastline of the hotel. Guests can also head out to explore the local town of Sayulita, a nearby village backed by the Sierra Madre Occidental mountains. This series is an addition to the brand’s worldwide FUEL offerings that connect guests with ways to stay fit while on the go. All 50+ W hotels offer classes, state-of-the-art FIT gyms and locally-inspired cuisine to keep guests feeling good and looking great. Guests can feel the burn during beachside sunrise yoga sessions at newly renovated W Fort Lauderdale, tone up with personal trainers at W Barcelona or learn the centuries-old art of Tai Chi at W Shanghai – The Bund. In addition to the Memorial Day FUEL weekend at W Punta de Mita, W will host additional weekend-long events at W Verbier and W Dubai – The Palm later this year, with more destinations coming up for 2018 and beyond.